The Gold Coast isn’t only famous for blondes and beaches it is also the quintessential location for a BIG, DIRTY, NIGHT OUT!!! From the glitz and itty bits spilling onto Orchid Avenue to the ever impressive and evolving nightlife in Broadbeach, the Gold Coast is the perfect place for a Bucks night no one will ever forget!!! 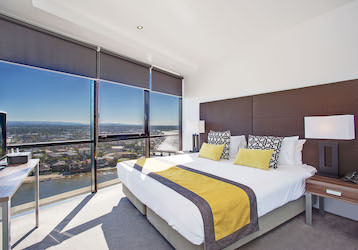 Here on the Gold Coast we have accommodation options to suit every style, taste, and budget. Choose between 1, 2 or 3 night stays and your choice 2, 3, 4, or 4.5 Star! 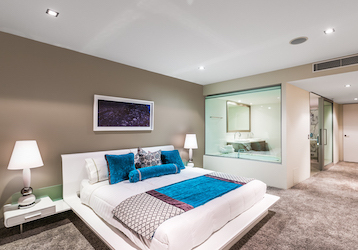 Don’t forget to ask your party planner about the 3 bedroom sub penthouses we offer! 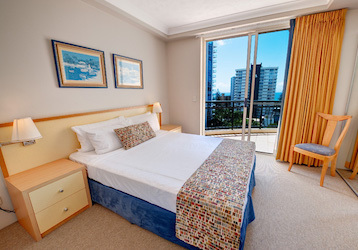 We have budget Backpackers, Mid Range, Affordable Luxury and Sub Penthouse accommodation options available and we specialise in the very hard to find one night stays in Surfers Paradise. Pimp out your Buck’s weekend with our three bedroom sub penthouse. Featuring multiple living areas, large enclosed balconies, spacious bedrooms, a spa bath, ocean views, a fully equipped kitchen, a large flat screen TV, this penthouse will leave you feeling like the king of the highrise. If you feel like venturing out of the penthouse (and we wouldn’t blame you if you never wanted to leave) the resort features a luxurious pool area, BBQ facilities, day spa, onsite bar, restaurant and shop. Everything you need for the ultimate Buck’s right at your fingertips. However, if you still feel the need to venture into town you’re only a short stroll from the heart of the CBD. Offering plenty of space and comfort, our two bedroom apartments are the ideal choice for our Buck’s groups looking for a comfortable place to recover after a night of shenanigans. The apartments have large living areas to regroup, a fully equipped kitchen for those midnight feasts, foxtel and in-house movies, as well as Wifi. With everything you could possibly need, these stunning apartments are the perfect homebase for any Buck’s party and we have a variety of options from 2 to 4.5 stars to suit any budget. Budget accommodation is perfect for Buck’s who care less about where they sleep and more about spending big on the things that count. Splurge on our range of spectacular Buck’s activities and save on the pad- as long as it’s got a bed right? That’s not to say we’ve got you staying in a dive. You’ll still be a short stroll from the beach, main strip of bars and clubs, and you’ll still have great facilities and a comfortable stay. Here at Wicked Bucks we think that just because you’re on a budget doesn’t mean you have to forgo the little luxuries!